New Listings are Up, Pending Sales are Down – What does that mean for you? It’s June and the beginning of the “summer selling season” for real estate in Valmonte. Instead of a bunch of flowery talk about how great everything is about the market, I’m going to go out on a limb and dare to be more realistic than perpetually optimistic. The local real estate market is setting up for a price correction. The bigger question, and one I don’t have an immediate answer to, is for how long? Let me explain. Annualized average sales prices in Valmonte have risen steadily since January of 2015 and are up nearly 50% since March 2010. In that same period, inventory has declined to our current supply levels of approximately 2.5 months supply of homes. (The chart on the following page illustrates this over the last 10 years). At the same time, the sales price compared to original list price is hovering around 99-100% of list, but that’s where the change is about to happen. As the message of tight inventory has been spread around in newsletters like this and other media outlets, sellers have increasingly overpriced their homes. I don’t need to name specific homes, but any recent look at the MLS or Zillow, and you will see what I mean. In the meantime, mortgage rates have risen significantly over the past year and maybe headed to the 5% range for a 30 year mortgage – the highest level in 7 years. Finally, add into the mix a slate of new homes lined up to hit the market in Valmonte, and we are setting the table for what may quickly shift from a sellers market to a buyers market. If not a full blown buyers market, then I do think, at the very least, there will be good buying opportunities in late summer and early fall. This exact scenario has taken place on several occasions over the last 4 years. After inventory spikes in the summers of 2014, 2016, and 2017, buyers were able to buy homes on average less than 95% of the asking price as the result of a short term supply glut. In all these cases, the market returned to a seller’s market shortly after, but the short term price correction provided excellent buying opportunities for those in the market for a new home. Challenges to this model would be a sudden drop in interest rates, or a bevy of new buyers coming to the market, but both are unlikely given the recent economic growth and already inflated house prices. What I am suggesting is that, like the stock market recently experienced, it would not be unusual for a short term price correction in local housing prices. I don’t expect all neighborhoods to be affected the same. In areas like Redondo Beach and Torrance, prices are still relatively affordable compared to other beach cities, and inventory is still trending below 2 months supply in these markets. But in higher priced areas like Palos Verdes Estates, Hermosa Beach, and Manhattan Beach, prices are already showing signs of weakening. In the long run, we’ll still see general price growth for the next two years, as long as there aren’t major shocks to the overall economy. 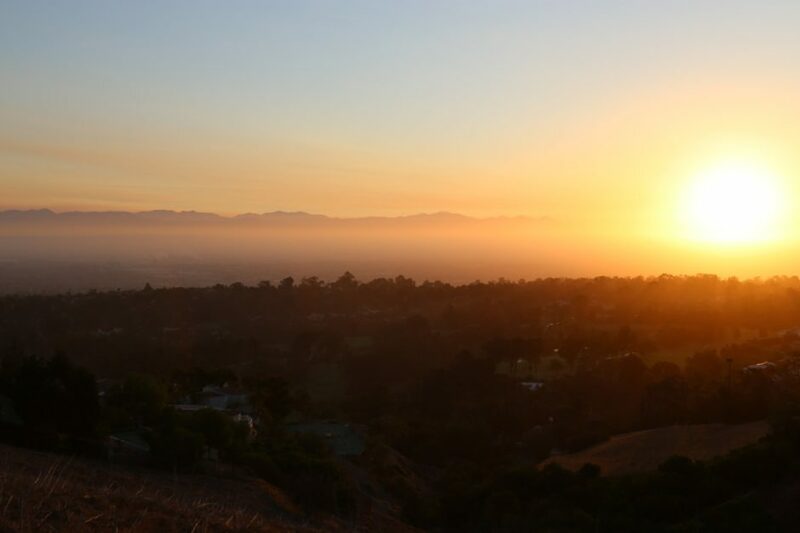 Limited supply is still an issue in most areas throughout Southern California, and until significant building takes place or job growth drastically slows, the market will remain out of balance. To give you further peace of mind, economists at Fannie Mae predict a 4-6% price appreciation in 2018 and 2019, with 30 year mortgage rates hovering in the upper 4% range. So for now, if you are a seller, you need to be very realistic with your pricing if you hope to sell your home in a reasonable amount of time. If you are a buyer, I don’t know that sitting back and waiting for a crash is a good idea, but instead, be ready to pounce on some good deals when they come around. 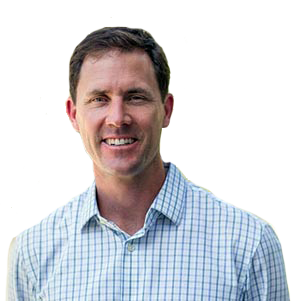 Click here if you would like to download a copy of my most recent I Love Valmonte newsletter or email me to receive a complimentary copy sent to your inbox. 2018: Valmonte Real Estate Forecast – Are we in a bubble? What about taxes? And Should I Buy or Sell in 2018? Spring greetings from our humble abode here in Valmonte. After a bumpy start in the stock market, I write with the prospects of a great year ahead in both the overall economy, as well as the local real estate market. The Valmonte real estate market is coming off a strong end to 2017, and a robust start to 2018. In fact, in the last 24 months, no home in Valmonte has sold for less than $1,000,000! In the last year, homes sold for 98.3% of the asking price, and 1/3 sold over asking! Across the board we saw the days on market drop, and supply remained around 2 months or lower, especially for homes under $2,000,000. Bottom line: it’s still a seller’s market. The short answer is NO! Prices have risen for 5 straight years, but even in Valmonte, the price per square foot is only 1.4% more than previous highs set in 2007. But this market is different; here’s why…. Relative Affordability – Despite the seemingly high prices, housing affordability is 2 to 3 times higher today than during the last market peak in 2006/07. Adjusted for inflation, the average sales price in Valmonte is still nearly $100k less than the last market peak. Buyers have skin in the game – The last market peak was supported by no-money down and stated income loans. Not this time; lenders typically require buyers to have 20% down payments. Low unemployment – Job growth is outpacing new housing starts, and even without new jobs, there is still a lack of supply to meet the demand for housing. Interest rates are still historically low – In fact, interest rates are 2 to 3 points lower in this market cycle than they were in 2006 and 2007. Keep in mind that buyers are buying a payment more than they are a house. Renting is expensive – Expensive rents are one of the primary drivers motivating first time homebuyers. Even with the reduction in deductible home ownership expenses in the new tax plan, first time buyers are motivated to buy a home. After a wild run to start the year in the stock market, followed by some crazy volatility, here are our predictions for the coming year. Interest Rates – Interest rates will continue to rise, but gradually. This is sort of a no-brainer, as it’s been predicted for the last several years. But higher rates are pushing hesitant buyers to get off the fence. Tax Reform – The effects of the newly passed tax reform won’t stifle home buying and selling as some have warned, but it will likely exert downward pressure on supply. Limited supply will make it more challenging for move-up buyers until baby boomers are ready to cash in on their equity. Price growth – Consumer confidence is at the highest level in over 17 years, and the consensus from economists is that home prices will increase moderately at around 4% in 2018. We expect higher growth at the entry level homes in the neighborhood while the top end will remain relatively flat – so far in 2018 this is the case. Support from the Bottom Up – The growth that led us out of the market bottom started on the high end with wealthier neighborhoods seeing massive price growth in 2013 and 2014. While those markets level off, the lower priced neighborhoods will continue to push the market up. Buy Investment Property – The new tax laws won’t hurt landlords; and in fact, it will likely help them. If rising rates and lower inventory reduces the number of first time buyers, landlords will continue to be able to raise rents. Even with a limited supply of multifamily properties and lower overall returns, owning investment property still remains a solid hedge on inflation and is a great way to diversity your portfolio. If you are wondering how the changing economy affects you and your real estate, give me a call, I’m happy to help! 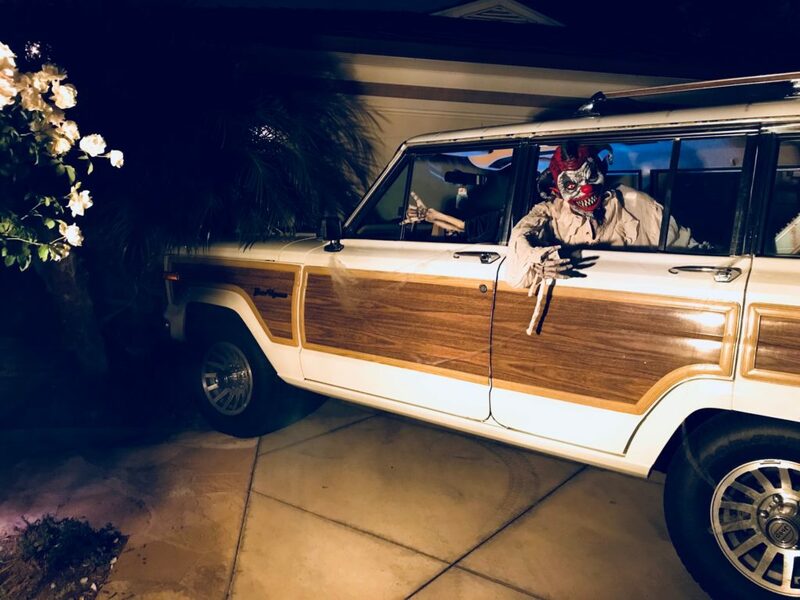 Once again, Halloween in Valmonte did not disappoint! The Halloween tradition is one of the unique things that makes living in Valmonte lots of fun, and it was great to see all the families and kids getting into the spirit again this year. Our kids had a great time, and I know we went through over 500 pieces of candy at our home alone (and I know we were not alone)! As for real estate, we are entering one of the traditionally slower times of the year. After a sales boost in August, October followed the September cooling trend in Valmonte. Inventory, measured as month’s supply, increased from 3.4 months supply in September to 4.3 months in October. Active listings for the month also reached a 3 year high with 17 homes available during the month. However, supply levels indicate the market still favors the seller as a balanced market is considered 6 months of supply. The increasing supply means that despite the high prices, we are reaching a more balanced market. As for prices, Valmonte homes are just shy of record highs seen over the last 12 months. However, in the last few weeks with demand waning, prices of homes that have been on the market over 60 days are experiencing reductions. Prices in Valmonte continue to be a driver of activity. Homes priced under $1.5m continue to see the strongest activity and fewest days on the market. As you cross the $2m threshold, the time on the market increases. Of course there are exceptions in both price categories as unique homes or overpriced homes buck the trends. As has been the been case over the last 5 years, activity and prices typically drop as well head into the Holiday season. With 13 homes for sale in the neighborhood, buyers may find that this is the time to find their Valmonte home at a discount to the peak selling season seen in the Spring and early Summer months. One question that remains to be answered is how long will prices hold both on a local level and throughout the region? We turn once again to interest rates with the belief that any significant rise could result in slowing sales and as a result, dropping prices. Of course, we have wondered for last several years when this interest rate hike will take place. Also, as of last Thursday, factor in the proposed tax plan which could limit mortgage interest and property tax deductions, and prices may cool off slightly. In the meantime, the overall economy keeps showing signs of strength with the unemployment rate at 10 year lows and corporate earnings holding steady. Throughout Southern California, demand still outpaces supply, and even with lower potential real estate tax deductions, and a slight increase in interest rates, it’s a safe bet we’re not heading for a real estate slump anytime soon. Lot’s of inventory, price drops on the way? After 5 years of appreciation, the market is showing signs of leveling as the market transitions from a seller’s market to a buyer’s market. The increasing supply is indicative of a “me too” selling climate where sellers are trying to take advantage of higher prices while the good times are around. If the inventory levels hold, I expect prices to decline slightly into the Fall and Winter months when buyer activity tends to dip. On the buyer front, interest rates remain stable around 4%, but the consensus is that rates will rise slightly over the next 6-18 months. How does Valmonte compare to the rest of PVE? 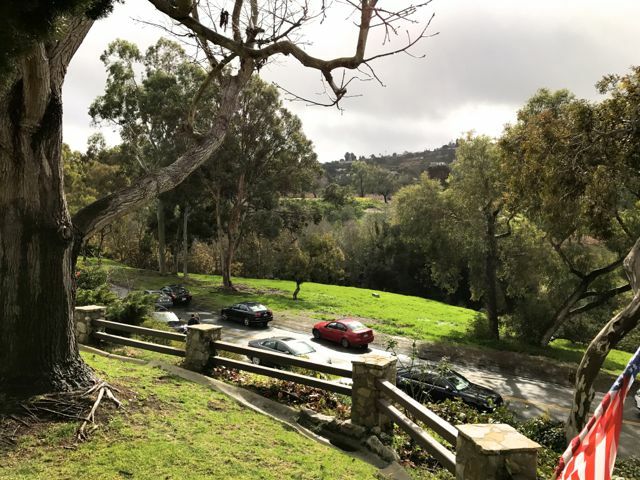 Valmonte is a micro market compared to the larger Palos Verdes Estates market and for the most part, the trends lines parallel one another across the board. The exception is prices on a per foot basis tend to be higher in Valmonte than that of the entire city, due mostly to the smaller homes and generally tighter supply. The 2017 second quarter numbers are in, and yes, life is still great in Valmonte. For many of you reading this, I assume you currently live in Valmonte, and like I hear from many neighbors, you plan on leaving feet first or “in a pine box” as one neighbor so eloquently put it. So what I’m about to tell you about house prices probably doesn’t really matter that much. 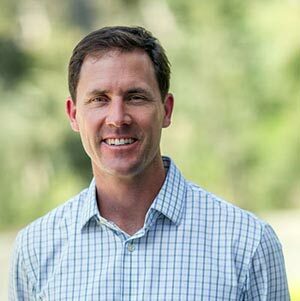 For the rest of you that are thinking of selling a home or looking to buy one in Valmonte, you may want to keep reading. For the last 5 years, the median home price in Valmonte has climbed from a low of $950,000 to a high of $1,500,000 ( based on a 12 month weighted average to account for seasonality and anomalies). During that time inventory has hovered around 2 1/2 months supply, with a few exceptions around the Holidays in 2014 (which in hindsight was a great window of opportunity to buy). But things have changed in the last 3 months. Inventory has increased to 13 active listings, or 4.6 months supply – this is the largest number of homes on the market relative to the number of sales we’ve seen in 2 1/2 years. When you look at the highlights, it’s easy to be confused. Homes are selling faster yet things are slowing down? Let me explain. We started the year off hot out of the gates – to be specific, 11 homes have sold over the list price so far this year. But as prices continue to bounce off record highs, buyers have become more discretionary, and have less patience for high prices. Add to the mix a homeowner who sees his neighbor’s house sell for $2 million, and then he thinks he can get $2.2 million for his. Only it doesn’t sell. And in this market, when you overprice, you’ll likely get slaughtered. Buyers have access to more information than ever before. Most of you reading this have probably been on Zillow or Realtor.com and have seen what’s for sale and what’s sold around your house. Zillow will even give a “Zestimate” home price and compare it to the advertised price. Now I’m not a big fan of Zestimates – most of the time the pricing is way off if the house hasn’t sold in the last few years, but that type of information is powerful. Armed with information, the average buyer can spot an overpriced home. Toss in our obsession with home improvement shows and “Million Dollar Listing,” and the buyer feels like they have more power than ever before. Without naming specific homes, you can see exactly what I’m talking about just by looking at the current listings. If your home is on the market for more than 90 days in this economy, you’ve definitely missed the mark. In fact, overpriced homes sitting on the market more than 60 days are likely to sell for less than the fair market price. I’ve pulled a few charts to give you an idea of prices and inventory, as well as a list of all the Valmonte sales so far in 2017. So what’s the rest of 2017 going to look like? With inventory up and sales slowing across the entire South Bay and PV, the second half is likely to start off on the slow side. If the previously mentioned 2014 holiday season is any indicator, we may have a great buying opportunity starting in late summer as inventory languishes and sellers are faced with price cuts. Interest rates remain in the high 3% to low 4% range so patient buyers may be able to cherry pick some decent buys unless things heat up quickly. Although in a market like Valmonte, sellers may be more discretionary that other areas, so they could end up just pulling their home off the market instead of facing a lower sales price. And even with some of the indicators suggesting that things are leveling off, well priced homes, especially if they are newly updated or offers something unique, will still likely see plenty of interest. In short, if you are a seller in this market, spend the time to get your house ready to sell and price it right. If you are a buyer, get your financing together and write some offers, you’ll never get a deal standing on the sidelines. 2017 started off great. 13 homes sold in the first quarter within 97% of the asking price. But, as in the past, sellers are starting to feel confident and as a result we are seeing “optimistic” pricing. I don’t blame sellers. I, like many realtors, am an optimist (you sort of have to be in order to survive in this career). We tell our clients “prices are rising,” or “there’s no inventory!” and the “buyers are hungry.” In fact, I took most of these statements from blog posts and articles I’ve written over the past 12 months. Some of it is definitely true. Prices are at record highs in Valmonte and elsewhere – see the chart below. Buy buyers aren’t dumb, nor irrational. You can make the argument that as prices climb, buyers become more discretionary. When you look at homes over the 6 or 12 month median, buyers have more choices and more things to consider. Take a look at the inventory/supply chart below. It’s based on month’s supply of inventory and compared to last year, inventory is definitely rising. Turnover in Valmonte is the lowest of all the neighborhoods in PV, and the normal scarcity of homes helps push the prices up. Why the recent increase in inventory? The increase is more likely due to a seasonal increase and won’t likely be sustained. Several of the homes on the market are the result of divorce, job relocations, and retirements, as opposed to people moving out of the area because they don’t like it. There’s some good news in the tea leaves. Price strength is supported from the bottom up. So far to date, the lowest priced home sold was $1,070,000 (3700 PV Dr North). There have been more homes sold over $2m than ever before. But the question everyone is asking, “can it keep going up?” In the chart below, the median sales price (weighted over 12 months) has plateaued in Valmonte while it has continued to rise in all of Palos Verdes Estates. Going beyond the numbers alone, the increase in PVE v Valmonte could be due to the larger homes and new construction in the areas of the city outside of Valmonte like Montemalaga and Lunada Bay. Those areas boast average lot sizes of 14,000′ allowing much larger homes to be built. In fact, in 2017, the average home sale in Montemalaga is $2.7m. However, on a price/foot basis, Valmonte actually exceeds the median price/foot for the entire city. The litmus test: The fundamentals remain – buyers still want to move to nice neighborhoods like Valmonte, and sellers are reluctant to sell until they have to. This creates a supply and demand imbalance that continues to favor the seller, and it doesn’t seem to be changing too quickly. For more about the real estate market, I encourage you to listen to the Chief Economist at the California Association of Realtors in her recent Q&A at the Teles Properties Headquarters in Beverly Hills. She had some great insights to the current market, what the future looks like, and how the market has changed in the recent cycle. The same trends are in line throughout PVE – sales are up, median home prices are slightly higher, and homes are selling faster than in Q1 2016. We are seeing an uptick in pending sales in the luxury markets across the entire LA area, including Palos Verdes Estates, Manhattan Beach, and the Westside. The chart below illustrates the quarterly market changes in the South Bay since 2008 (note the steep increase in Manhattan Beach, possibly signaling a new rally in home prices). We attribute this to several factors – increasing confidence in the economy, buyers “getting off the fence” to get ahead of rising mortgage rates, and sellers pricing homes closer to the perceived market value. In Valmonte, the lowest priced sale is currently $1.070m, compared to $900k in 2016, and there are currently 8 homes sold or in escrow over $2m, compared to 10 total home sales priced $2m or greater in all of 2016. Price points near or below the median in each area are seeing heavy buying activity, often with multiple offers at prices above the asking price. 2017, Is This the Year to Sell? While 2016 gave us new record prices, sales were down slightly compared to 2015, but 2017 appears to be on track to be one of the best years for sellers since the last bull market from 2002-2006. According to economists at Deutsche Bank, “We expect the housing sector to remain on firm footing despite the increase in interest rates, due to the health of the labor market and household balance sheets, and the easing of lending standards for residential mortgages.” Locally, with continued low inventory and eager buyers, this may be the best time to sell that we’ll see for a while. 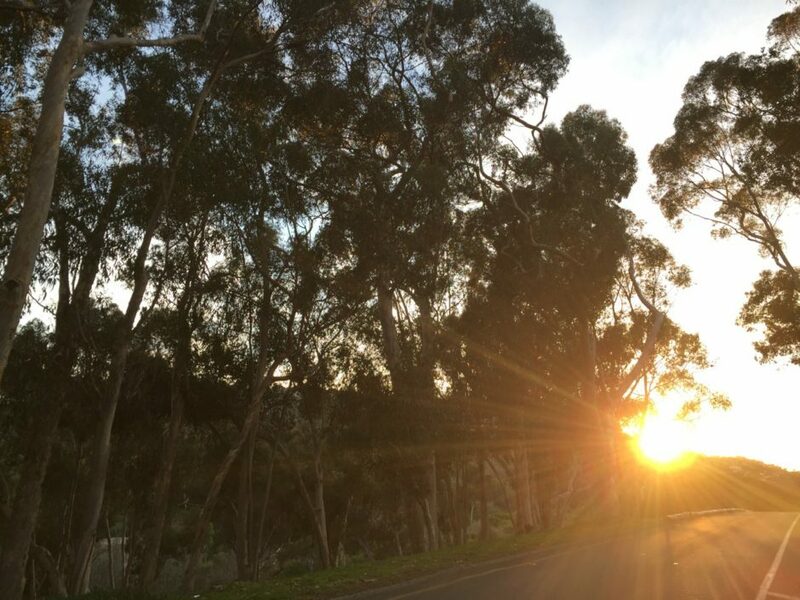 I write this latest post as yet another rain storm passes through our quiet little slice of paradise here in Valmonte and another big one is on it’s way. It’s been nice to have all the water, but I have to say, I’m spoiled by our typical 279 days of sunshine each year. As for the real estate market, continuing with the theme we saw in January, the welcome sight of new homes on the market continues to be the trend in February. Average prices are down somewhat from late 2016 and I link that to the current inventory of fixer and starter homes that recently came on the market, as opposed to a significant change in market dynamics. Strong demand remains for well priced Valmonte homes at most price points, with the strongest demand being for 4 bedroom homes and properties priced under $1.6m. Homes on Palos Verdes Drive North come on the market as many sellers are looking to “move-up” to different locations or larger homes. 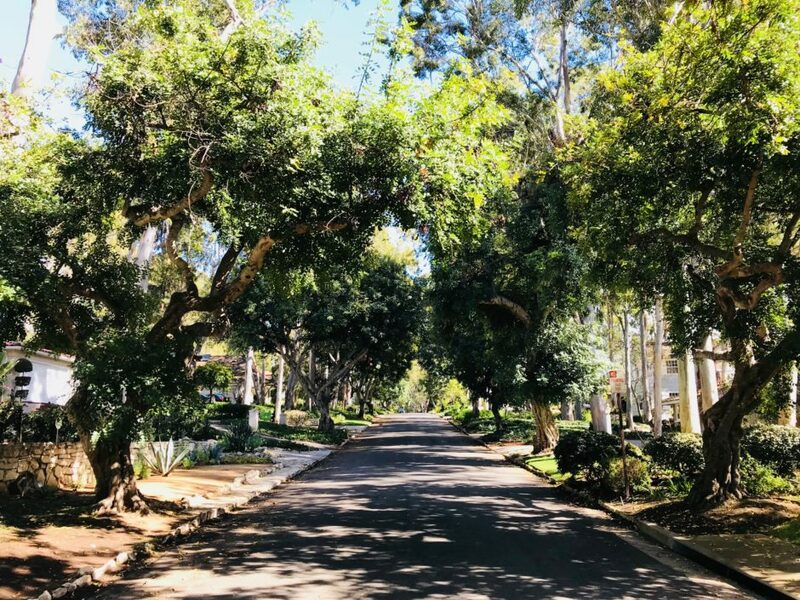 PV Drive North properties are typically selling about $100 less per square foot or about $100k below the average home on an interior street such as Via la Selva or Via Solano. Finally, on average, Valmonte properties are selling at about 97% of the list price, consistent with the numbers seen in 2016. 3428 PV Drive North – This is a quick turn around flip property that offers a move-in ready home on the drive. It won’t blow you away with high end finishes but you won’t need to do much other than move in. The house is 1,672′ on a smaller 7,084′ lot that opens to the Via Palomino utility trail. Priced at $1.399m, it will likely sell below that due to the smaller lot size. Along with plenty of rain, there has been a flood of new Valmonte homes for sale to start 2017. After reaching new price records in 2016, 2017 may be the year that sellers sitting on the fence decide it’s time to make their move. If the first 2 weeks of 2017 is any indicator, this could be a record year in terms of the number of homes sold. Here’s a run through what’s currently on the market, and a few that already made it into escrow…. 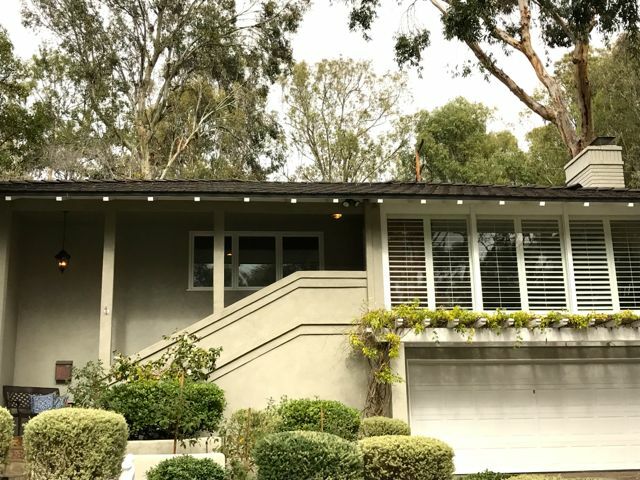 4240 Via Alondra, $1,249,000 – No, it’s not still 2016. After originally coming on the market January 18th, 2016, and with $250k in price reductions plus some leveling and work to the backyard, this home is waiting for someone to buy the lowest price/foot home on the market in years ($497/foot). It’s located on Valmonte Canyon and offers peaceful views and a quiet setting with 4 bedrooms and 2 baths. 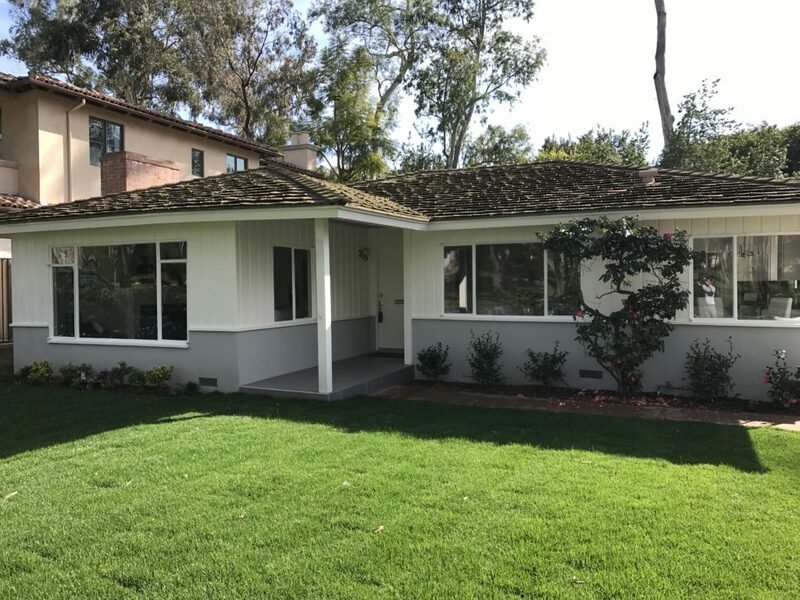 3213 Paseo Del Campo, $1,335,000 – Yes, del Campo under $2 million! Located across from the golf course and situated 20 feet above the street, this original home with vaulted ceilings and views is ready for a makeover and some new life. This one has great upside potential for the owner willing to do some improvements. The word on the street is there are several offers in hand and I expect this to close closer to $1.5m – $1.6m given the location and nearly 2,200 square feet. 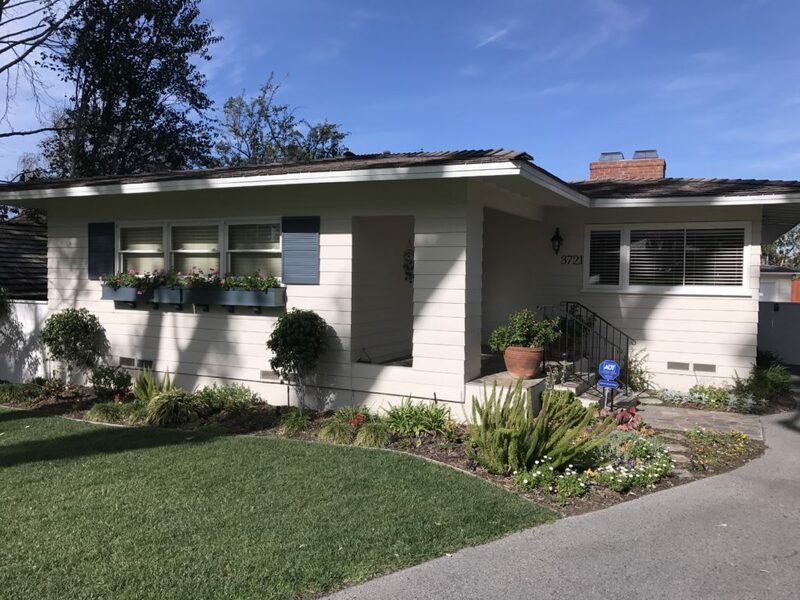 2545 Via Anita, $1,519,000 – Priced at the average price/foot of $759/foot, this Via Anita house in the grove is back on the market after a year and half break. It was last listed at $1,549,000 by the sellers who purchased the home in July 2013 for $1,395,000. The house is great for an owner looking for a thoroughly updated house with 4 bedrooms in Valmonte. It also features a great patio for entertaining. The only downside is if you’re looking for something with a large yard for the dogs or kids, this may not be the one for you. 2001 PV Drive North, $1,550,000 – This is another great house for the buyer looking for 4 bedrooms and a move-in ready home. The house is light and bright with nice golf course and hillside views. 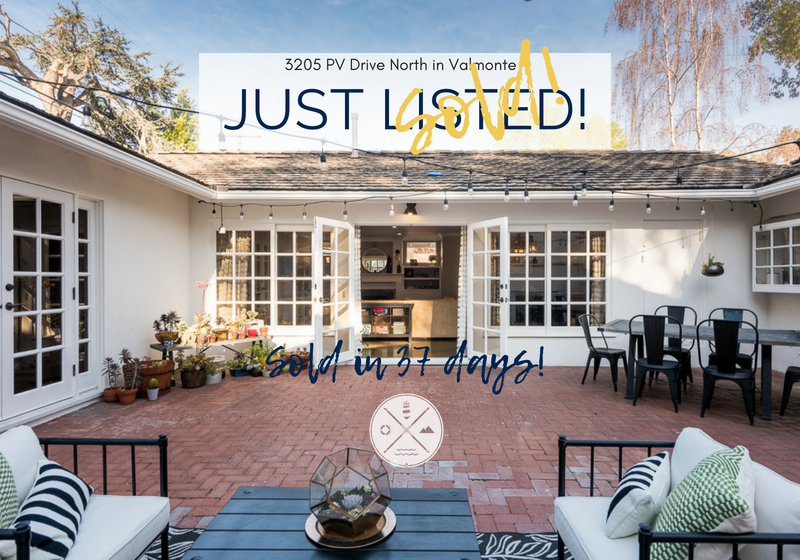 The downside is the lack of backyard, and as we experienced selling 3025 PV Drive North last year, some buyers won’t even consider a home on the drive. That said, plenty of homes on the drive sell each year and with the great finishes and floor plan, I expect this one to be gone soon. 3705 Via La Selva, $1,588,000 – At 2,423 square feet in the “sun belt” of Valmonte, this 4 bedroom, 2 story house has plenty of room for a family looking for extra space. Add a pool and you have a home that promises to be the place where your kids’ friends want to hang out. This one is priced below the average price/foot at $655/foot, leaving some money left to upgrade a few of the bathrooms. 300 Via Navajo, $2,500,000 – 5 bedrooms, 5 baths, and 4,017 square feet (plus a 700′ basement not in the square footage) makes this one of the largest homes in Valmonte. As you might expect, there’s not much missing from this house. Room for a large family – check; guest room – check; home gym or man-cave – check; gourmet kitchen – check. If you’re in the market for a large home, give me a call to set up an appointment to see it in person. 3806 Via Palomino, $2,565,000 – If you want a home that will remind you of luxury hotels you’ve enjoyed during your vacations, this is the one. Via Palomino is one of the most exclusive streets on the hill, and this home fits the bill for that street. Top end custom finishes, privacy, and fireplaces for a cozy intimate feel round out the luxury feel. 3609 Navajo Place, $2,895,000 – There aren’t many homes on a half-acre in Valmonte, and this Williamsburg Colonial is one of the few opportunities you’ll get to buy one. It’s been on the market for nearly 6 months so why hasn’t it sold? For starters, there aren’t that many people running around looking for a $3 million dollar home, and those that are have plenty of choices these days. I think the thing holding those select buyers back is the fact that most people will still want a pool, a top of the line gourmet kitchen, and more space for entertaining. Now this one has plans for all of that, but it’s probably going to cost you another 1/2 million to get it. Despite those desires, this is one of my all-time favorite homes in PV and if I would love nothing more that to represent the next owner on the purchase. 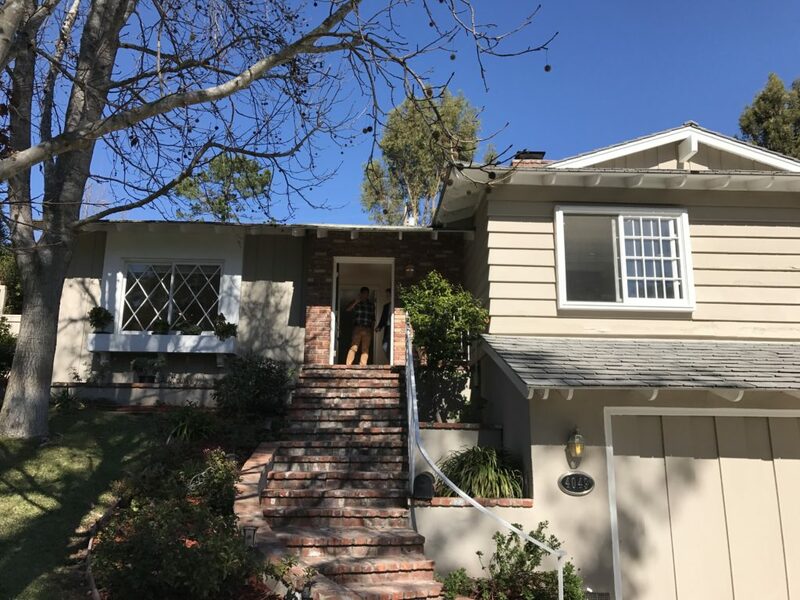 4400 Lucera Circle, $1,349,000 – This recent flip is a huge improvement to what was there and I’m sure the investors will be nicely rewarded when it closes. 4013 Via Nivel, $1,158,750 – This is the rare Valmonte foreclosure. It needs works and will make either a great teardown or one you take to the studs and add square footage. 3700 PV Drive N, $1,175,000 – This is a nicely kept traditional Valmonte home that offers a great starting point for someone looking to get into the neighborhood. It’s on the Palomino trail side of the drive which is an added bonus. 2716 Via Anita, $1,395,000 – at $573/foot, this is one of the best deals in PVE. It has a great backyard and with some improvements will make a great home for the new owners. 3325 PV Drive N, $1,549,000 – This one went straight into escrow without even being listed. If it closes at the list price, other home owners on PV Drive and with similar sized homes will be happy with this comp. NB: The last listing above brings up an important point. If you are looking to buy, sell, or even refinance your home, recent sales are a key measure of the value of a home. No two homes in Valmonte are the same, so it’s impossible to determine a price solely off a recent sale. However, the more recent the sale of a home with similar features, size, or location to one you own or are considering buying, will help you determine the home’s market value. There are the January 2017 Valmonte listings in a nutshell. If you want to discuss the market or the value of your home, feel free to contact me directly or for a quick snapshot of your home’s value, visit pvehomeprices.com for a free report. 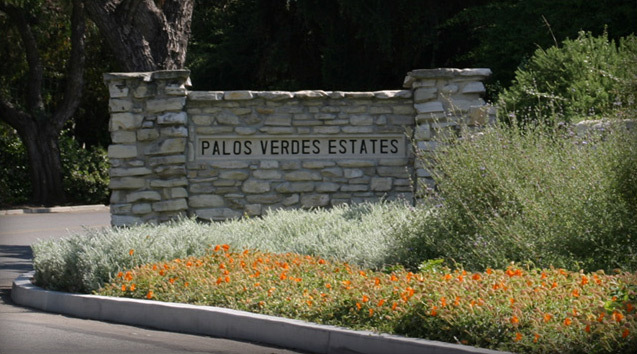 Palos Verdes Estates: Valmonte Home Prices Set a New Record in 2016! What do the numbers mean? – Each area has its unique features that make it more or less popular given the market demand. Valmonte and Lunada Bay are both seeing a huge increase in new families with young children moving in. 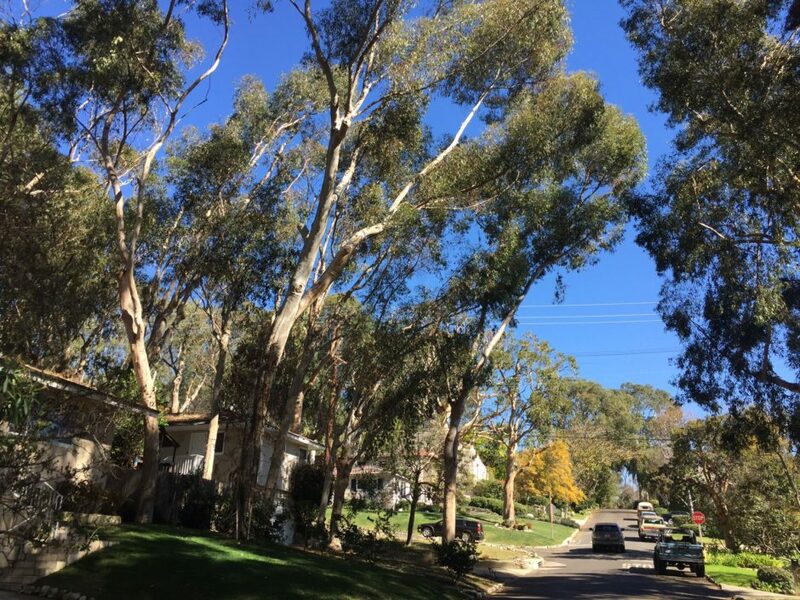 Because the lots are typically smaller in Valmonte compared to Lunada Bay, the homes are a little smaller and people are willing to pay more per foot to be on one of the flat tree-lined streets that make Valmonte attractive. Malaga Cove on the other hand boasts panoramic ocean views from nearly every home and buyers are willing to pay a premium for views. 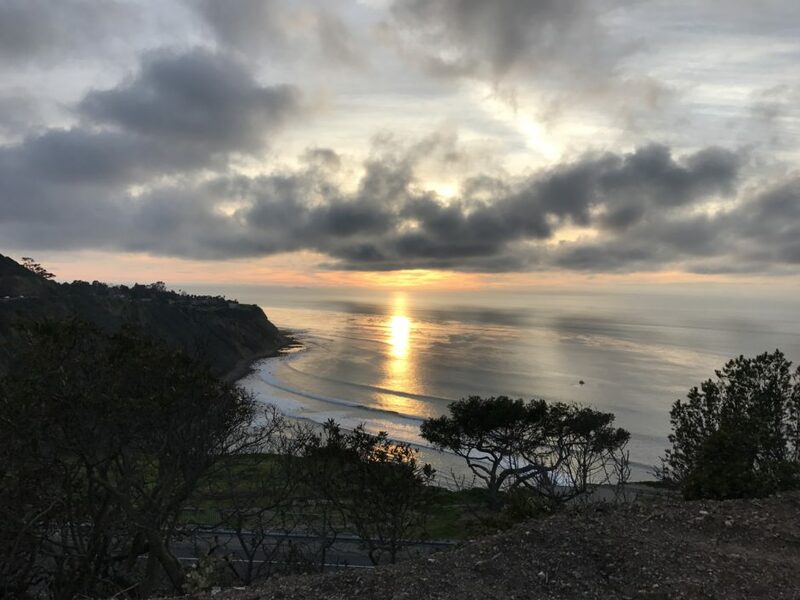 Finally, Monte Malaga offers some of the largest homes on the hill so the price per foot tends to drop while the average priced home is typically more than Valmonte or Lunada Bay. I’ve shared a graph below showing the average sales price in each area and you can see how area differs with regard to average sales price. Keep in mind these are all averages. Supply fluctuations as well the unique qualities of each home that is sold affects these numbers. If all the homes sold in a particular year were brand new with ocean views, I’m sure the numbers would look a lot different. This is rarely the case, so each home needs to be analyzed independently. 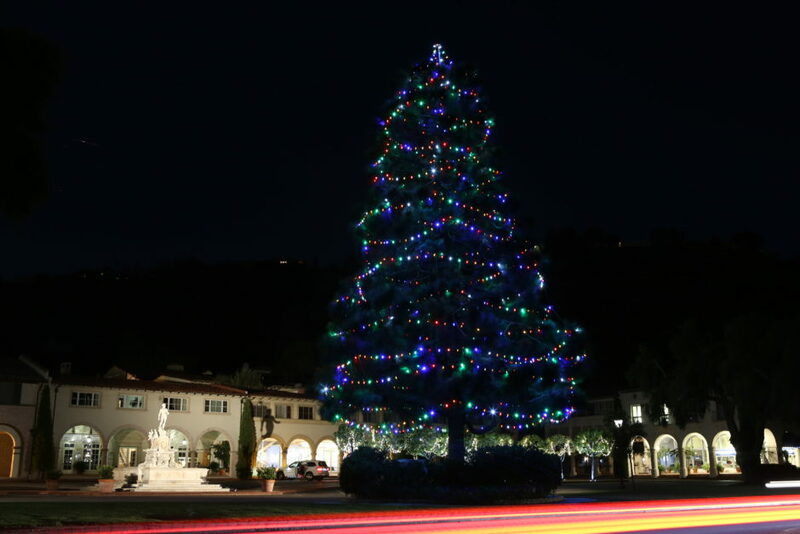 In all, it’s been a good year for property owners in Palos Verdes Estates. Home prices are continuing to trend upward, supply is still in check, and buyers are returning to the market after the election. The challenges we face in the short term are rising interest rates and lack of supply especially with entry level homes. If you would like a custom estimate of value for your home, please visit pvehomeprices.com and we’ll send a report out to you right away. 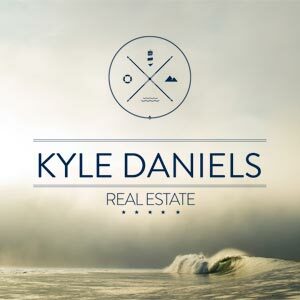 If you would like advice about buying or selling a home in 2017, please feel free to contact Kyle directly at 310-483-3998. Happy Holidays!